Outside the Box: P' Pick Up a Penguin! P' Pick Up a Penguin! 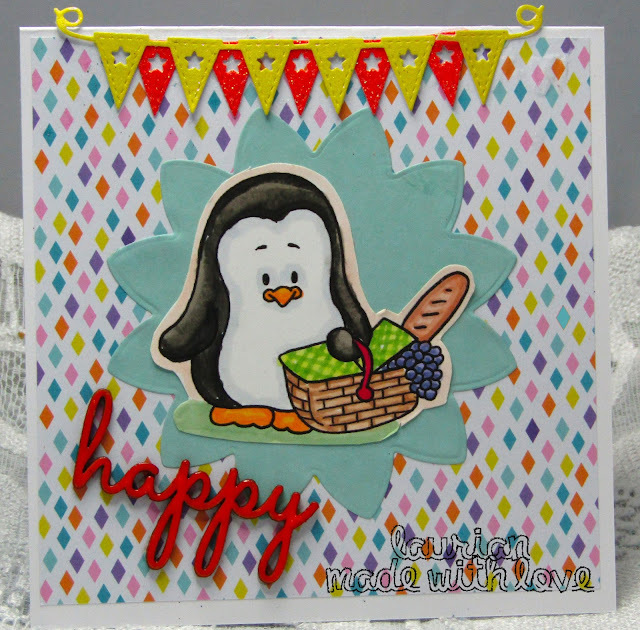 This month's image from Gerda Steiner is this really cute penguin off on a picnic! How could you not just love this little guy! I coloured him with Copics and used a die cut from Joanna Sheen for the garland and a wooden sentiment that I coated with embossing powder! So why ot join in these cute challenges at GSD Stamps and a little cute like this will drop into your inbox every month!